Perfect for covering facades to give the building an avant guarde touch. 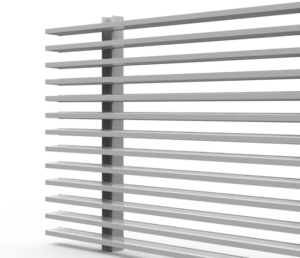 It is also ideal for closing openings between walls, fencing gardens and as a traditional system for closing ventilation openings, all while allowing a good entry of light. 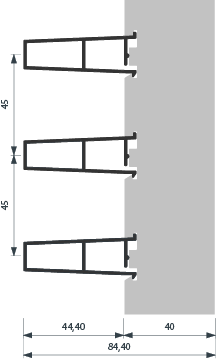 Thanks to its easy installation, the supports are fixed vertically and the slats are then clipped directly to the supports. 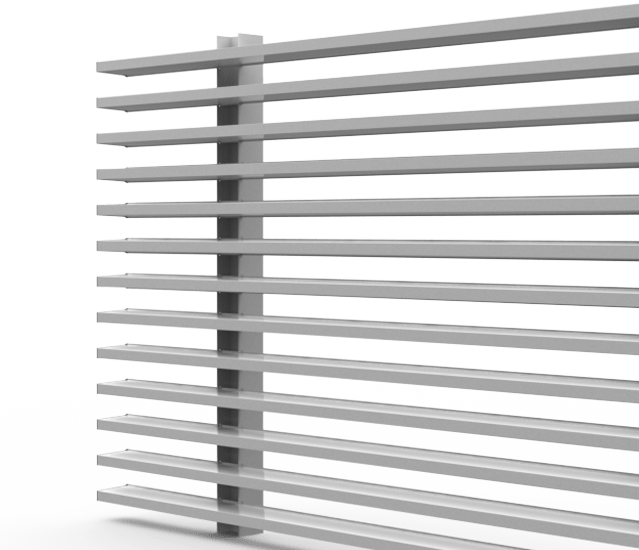 The step or separation between the slats is standard. Optionally, side plugs can be fitted.